The mission of the Hardy Plant Society of Oregon is to nurture the gardening community. Our vision is to make the world a better place through horticulture. The Hardy Plant Society of Oregon (HPSO) is a membership organization for gardeners at all levels. Founded in 1984 to serve Oregon and Southwest Washington, the Society now has over 2500 members throughout the Pacific Northwest and beyond. Organized to foster an understanding of herbaceous perennial plants (or "hardy perennials"), HPSO now promotes education about a wide range of plants, garden design, and gardening techniques. We sponsor workshops, lectures, study weekends, classes, publications, book sales, plant and garden art sales, trips and tours. We organize member gatherings and encourage member networking, support worthwhile community gardening projects through grants, sponsor plant and seed sales or exchanges, and encourage the preservation of special gardens of botanical, horticultural, or historic interest. HPSO is a tax-exempt, 501c(3), non-profit, charitable and educational organization, incorporated under the laws of the State of Oregon and governed by a Board of Directors elected by the Society's members. HPSO maintains an office in Northwest Portland. Part-time staff oversee the office, and many volunteer members manage or support the Society's activities, including our publications, our Open Gardens program, our plant sales, and our speaker programs. HPSO started in the 1970’s, when Marvin Black, a Seattle horticulturist, on a gardener’s exploration of England, discovered Great Britain’s Hardy Plant Society. Marvin was impressed with the organization’s possibilities and turned to his gardening friends for support in organizing the first American Hardy Plant Society. In June of 1980, this group sponsored the first Pacific Northwest Hardy Plant Society Study Weekend at Edmonds Community College. Eventually, a group of Oregonians, tired of traveling to Seattle for garden events, met with Marvin to plan the beginnings of the Hardy Plant Society of Oregon. Started by a small group of friends in 1984, HPSO grew to nearly 2,000 members in 1995 and surpassed 2,400 members in 2014. 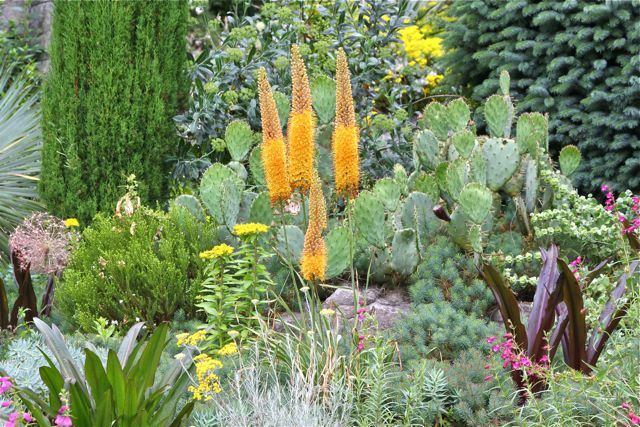 The Hardy Plant Society of Oregon has subsequently inspired the development of several other gardening groups, not just in the Pacific Northwest, but here and there throughout the USA. There are now Hardy Plant groups all across the country.